As embarrassing as it may be to admit, I’m a fanny pack kind of guy. Rocking a wallet in my back pocket has never been an appealing idea. 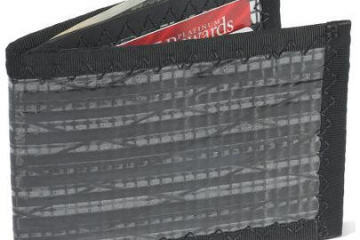 The Front Pocket Wallet offers the best of both worlds, saving your bottom from the troubles of a conventional wallet and your pride from the shame of a fanny pack. 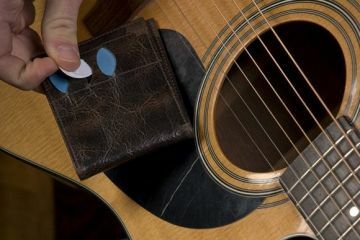 Why not use a regular wallet? A bulky piece can be uncomfortable to sit on, not to mention the fact that you can end up cracking some ATMs and credit cards that way. 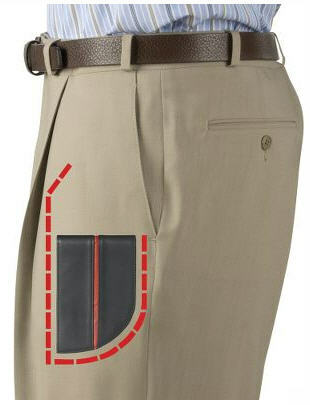 The rear pocket is also easy target for thieves who can handily pick it at will. 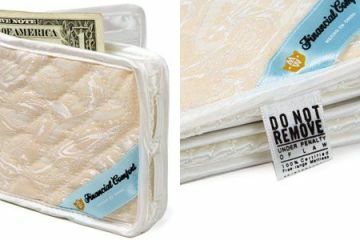 Seriously, if you want to keep your wallet safe, keeping it behind you is about the worst way to go about it. 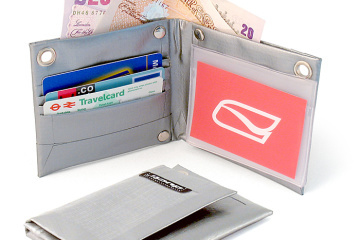 Designed to fit snugly in your pants’ front pocket, the Front Pocket Wallet sports unique curving lines on one folded end. Slim and cut to a perfect pocket shape, it should slide down into the hole away from view, unlike conventional rectangular items. Made from a satin leather material, it should also conform to your legs, whether you’re walking or sitting down. It has three slots for cards, one ID window and enough space to house your stack of $1 bills. Dimensions are a compact 5 x 3.5 x .25 inches. Of course, that 0.25-inch will likely balloon up in thickness, anyway, once you put in your driver’s license, five ATMs, four credit cards and your membership card to Bed, Bath and Beyond. But, still, it should save you from all the unnecessary troubles of keeping a wallet where you can’t watch it. 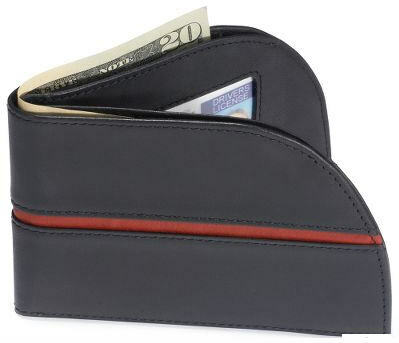 The Front Pocket Wallet is ready to replace your lame conventional wallets and shameless fanny packs for only $49.95. I hate putting my wallet in the back pocket because it bends your credit cards and uncomfortable to sit sometimes as well. But why would you need to go for this weird shaped wallet? 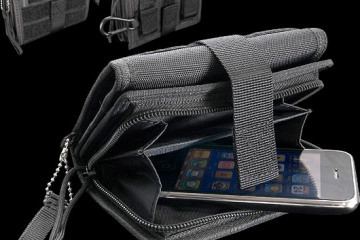 You can just put your regular wallet in the front pocket. Actually sometimes its pain to have “regular” wallet in the front pocket due the jeans or trousers one is wearing. So this is sure a good innovation but needs price correction. I always carry my wallet in my front pocket because there’s no logical reason at all for putting it in the back one. As for this wallet, I’m not interested. I don’t have many pockets with that strange shape, and the price is way too “fashion” to me. I think this is designed for the kind of “men” who get together at Starbucks to sip little lattes and discuss the “deep” thoughts on that day’s episode of The View.